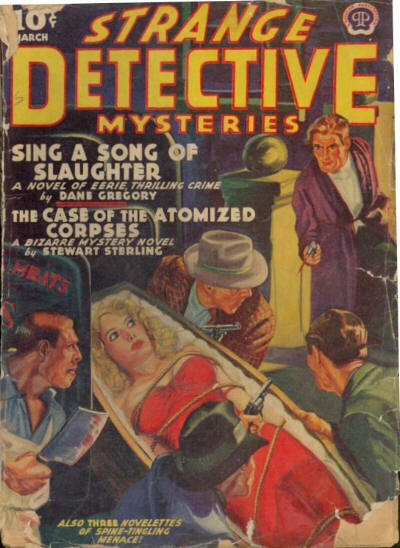 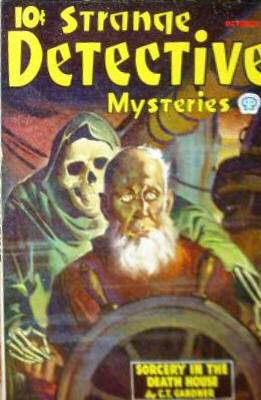 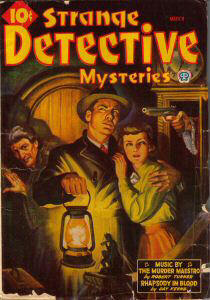 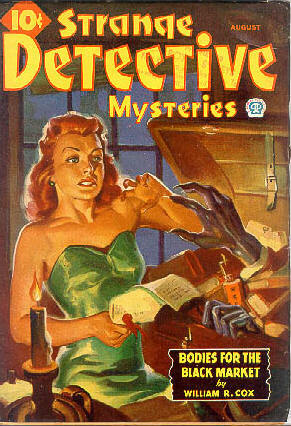 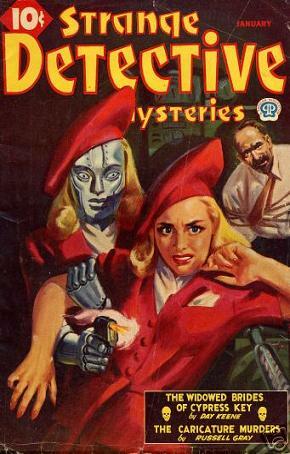 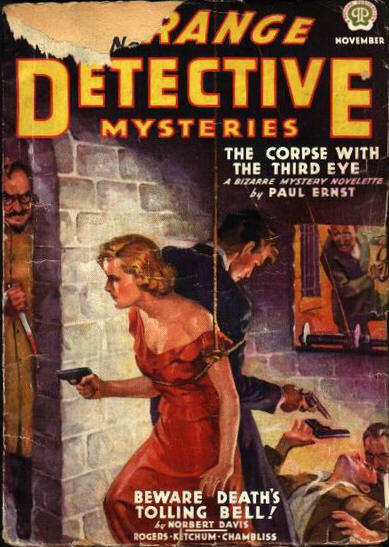 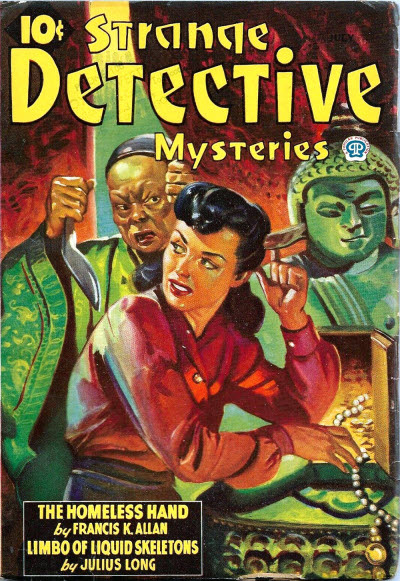 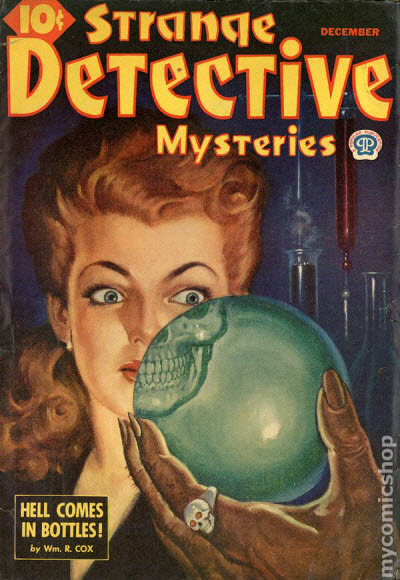 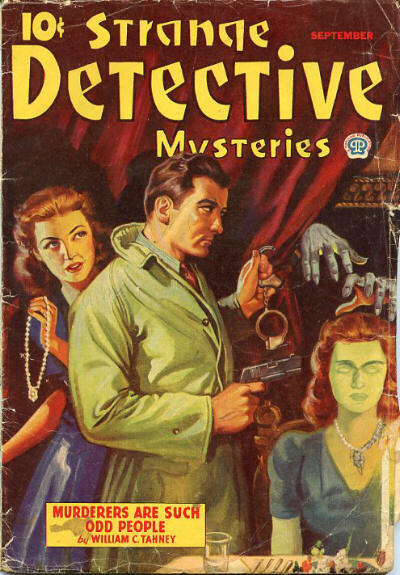 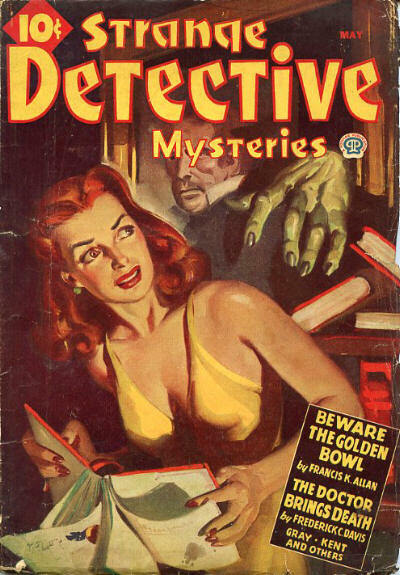 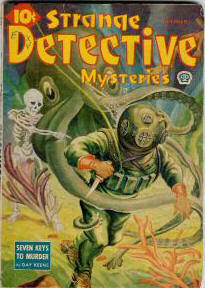 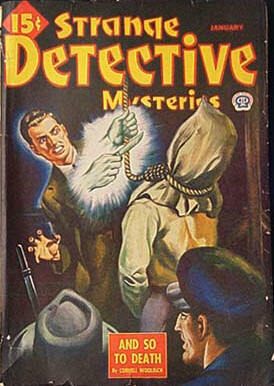 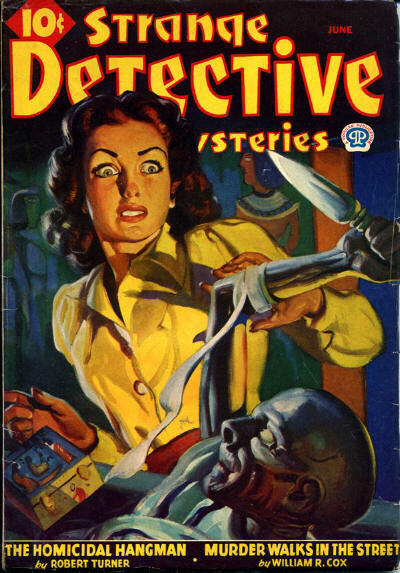 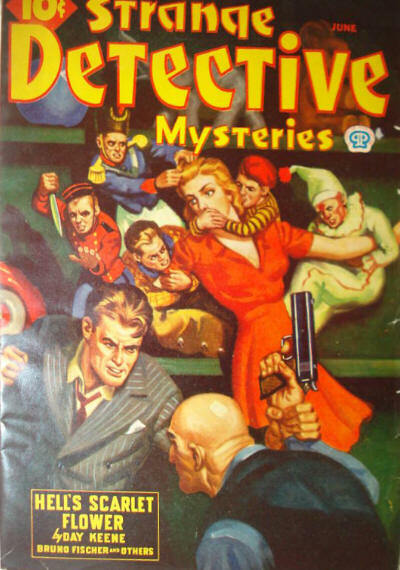 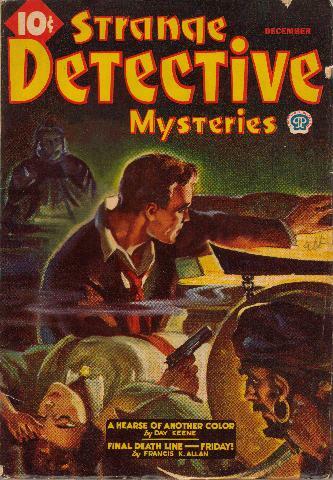 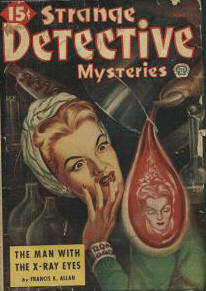 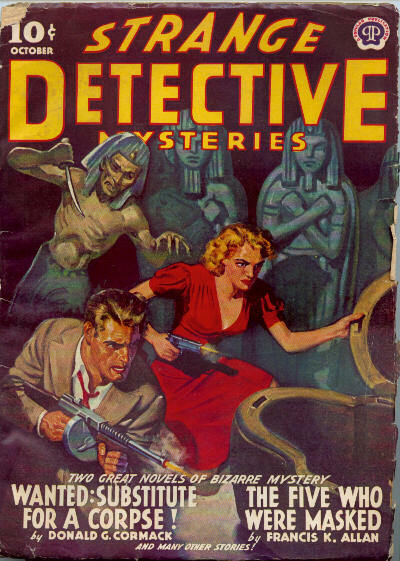 Strange Detective Mysteries specialised, as the title implied, in "bizarre, thrilling, eerie-laden, mystery stories" and featured a host of bizarre crime fighters. 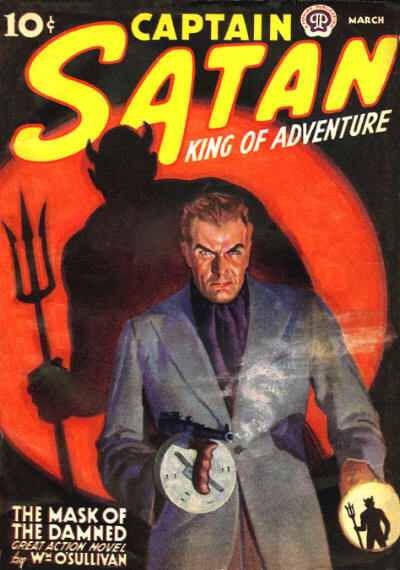 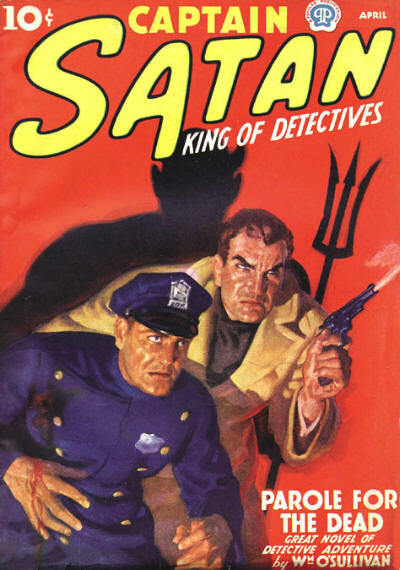 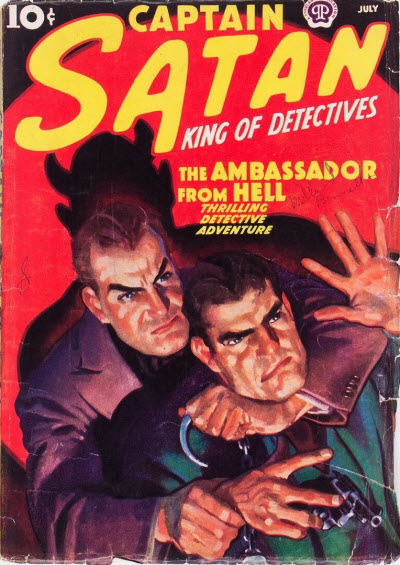 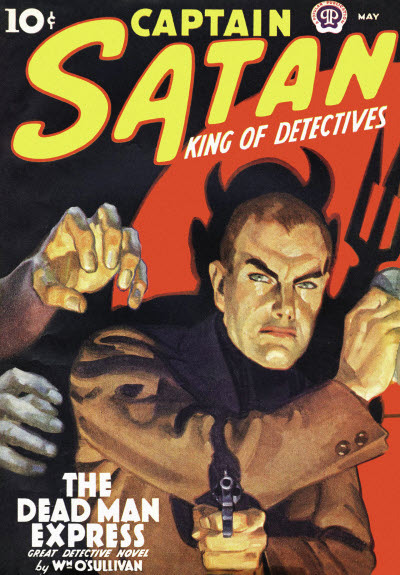 Briefly, for five issues in 1938, it changed its name to Captain Satan and concentrated on the eponymous hero, but soon reverted to the original title, publishing a total of 33 issues in 6 series. 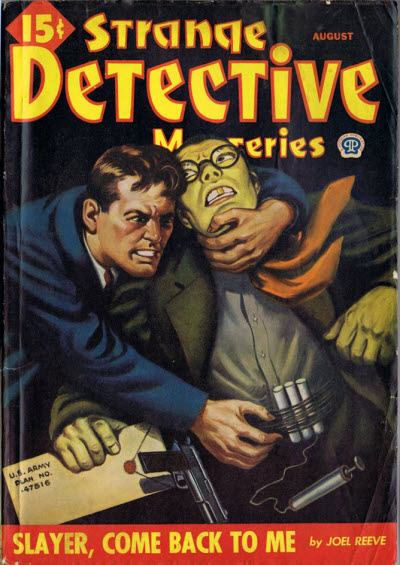 Even more successful was the Canadian Reprint Edition which ran for at least 48 issues in the early 1940s. 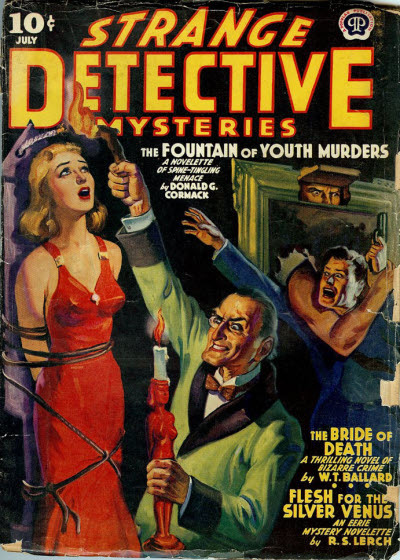 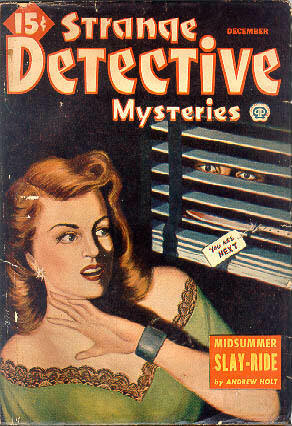 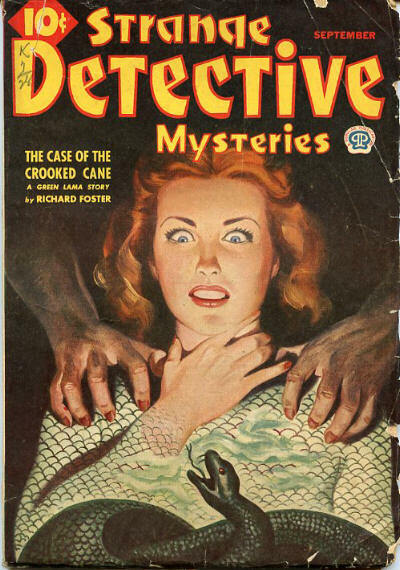 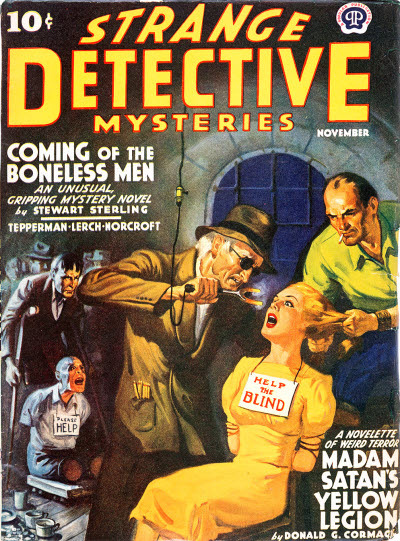 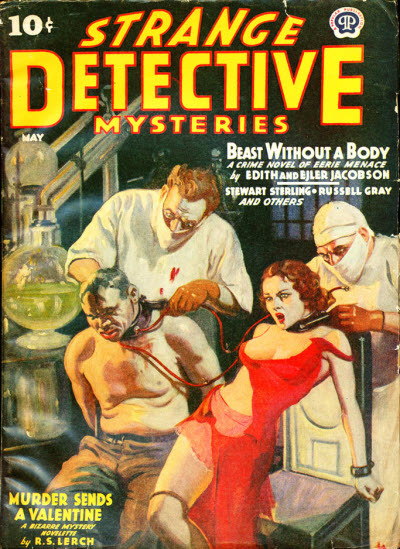 In the early issues, the contents of an issue of Strange Detective Mysteries and an issue of Dime Mystery Magazine were mixed together and republished over two issues of the Canadian magazine, with a couple of stories squeezed out. 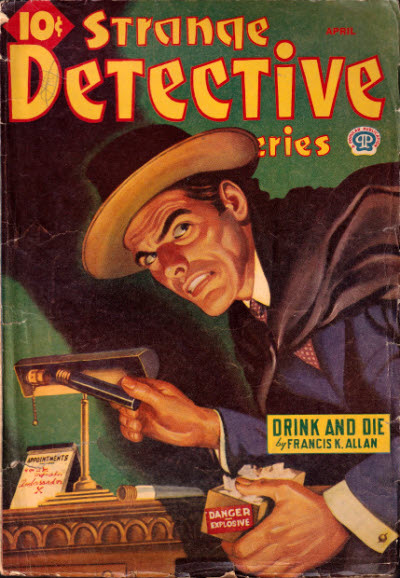 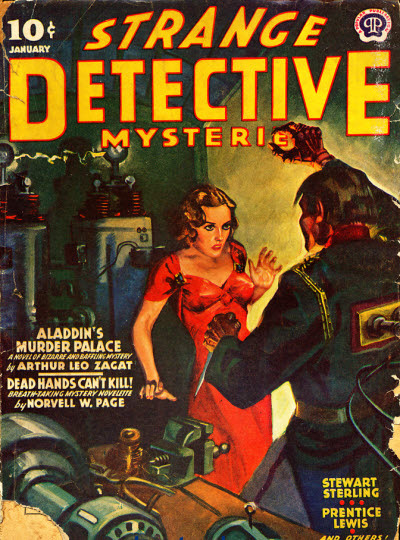 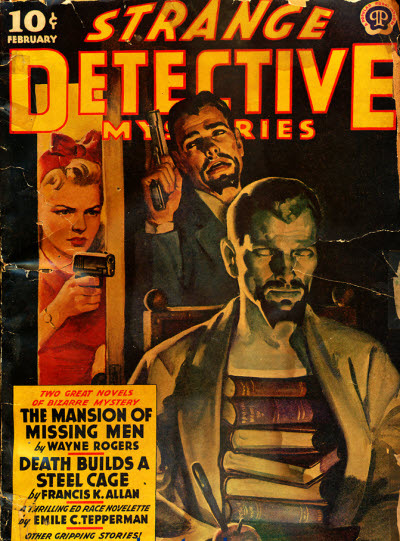 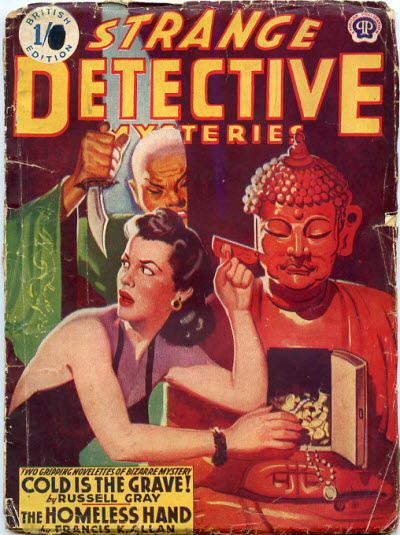 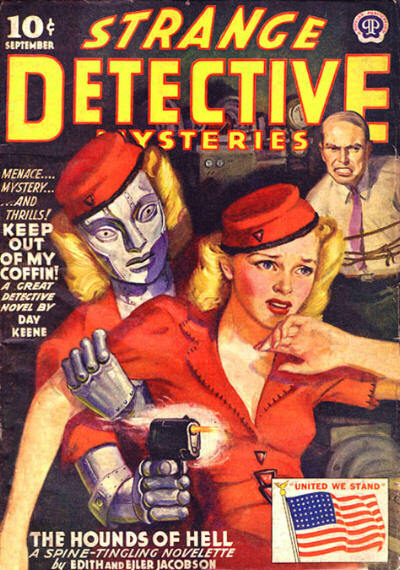 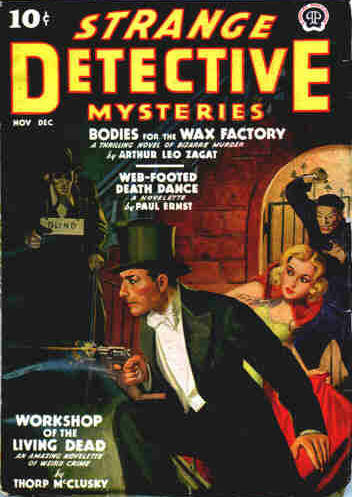 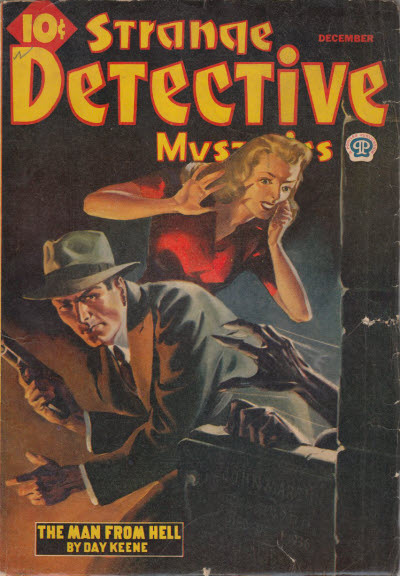 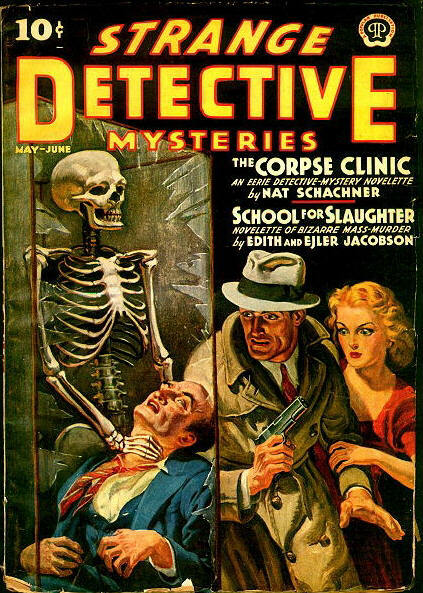 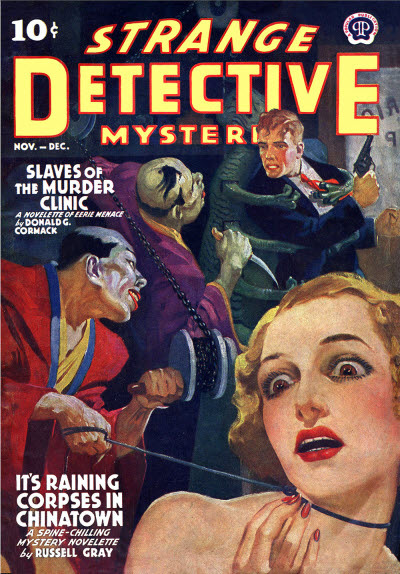 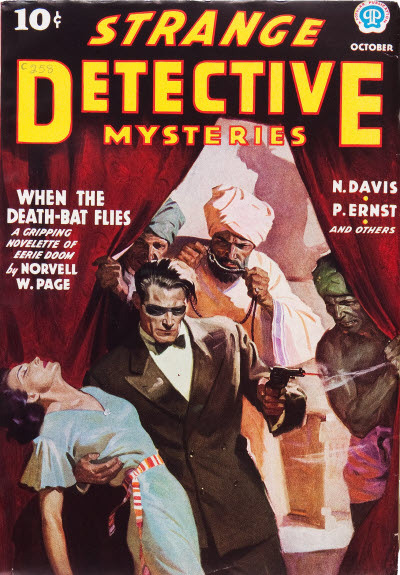 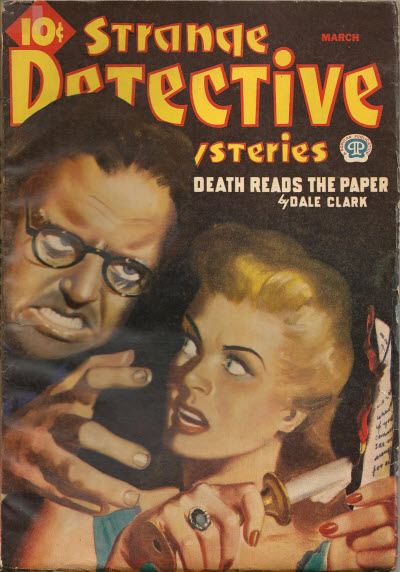 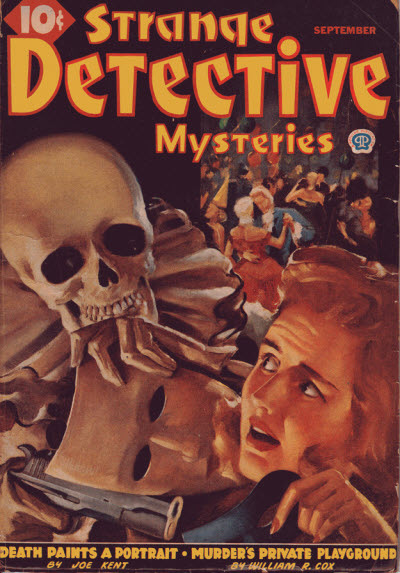 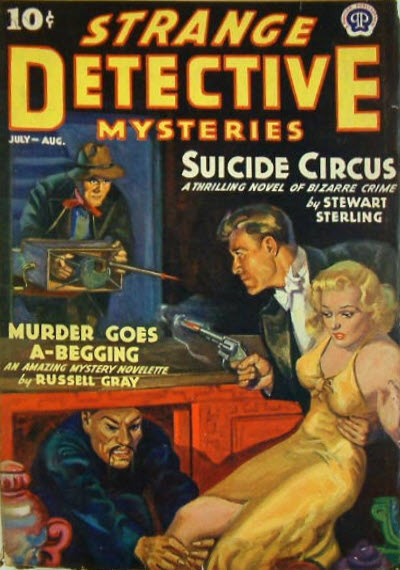 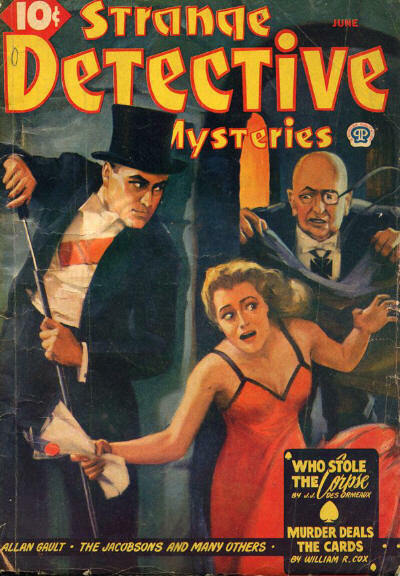 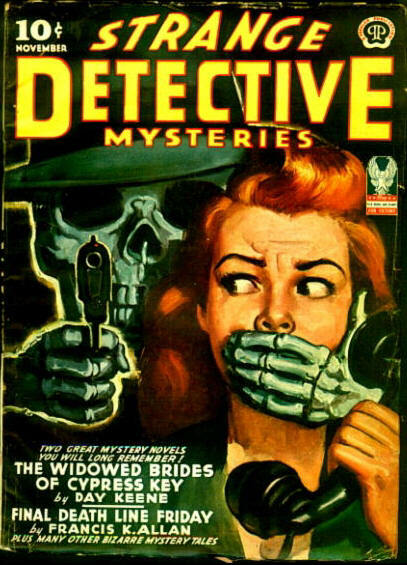 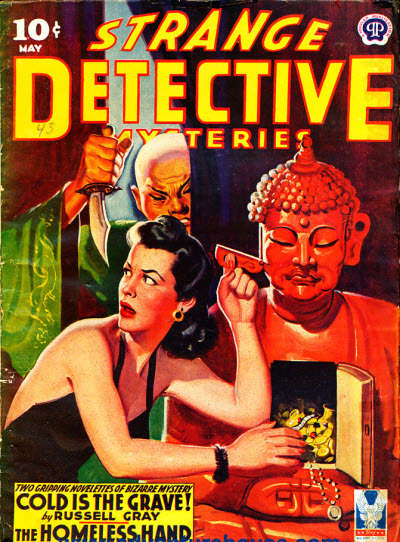 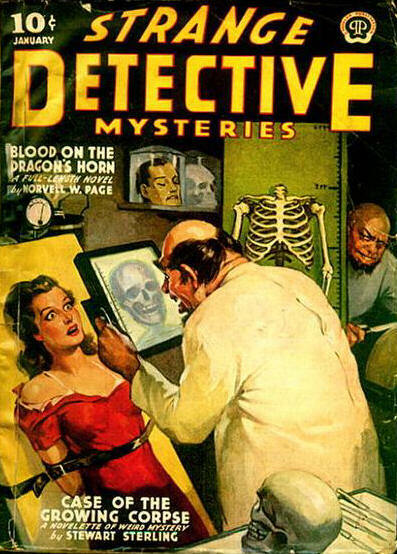 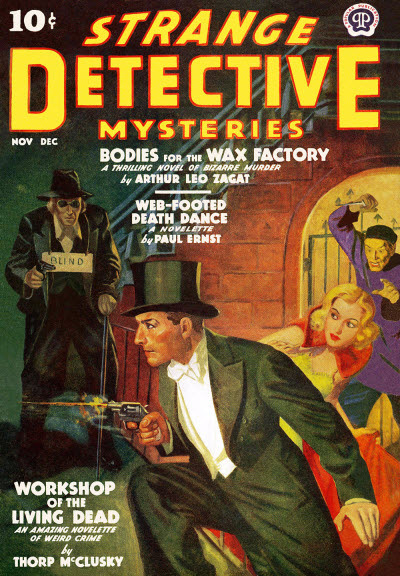 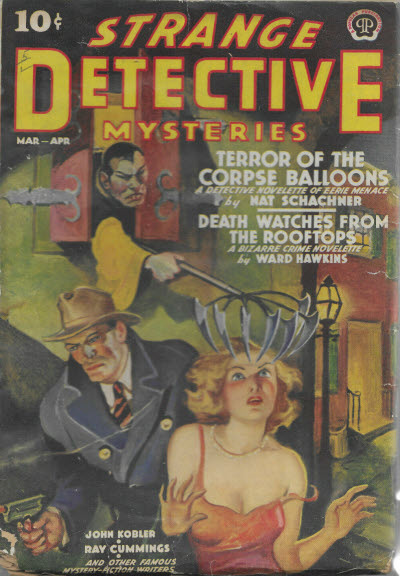 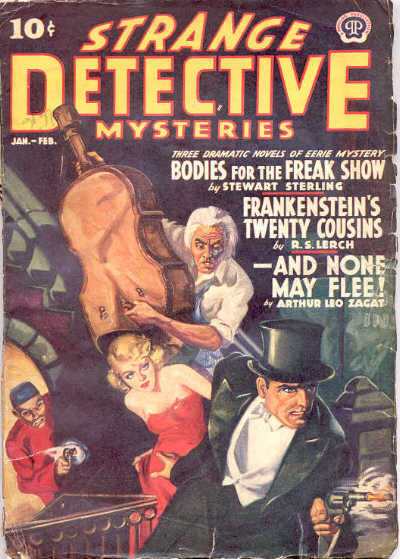 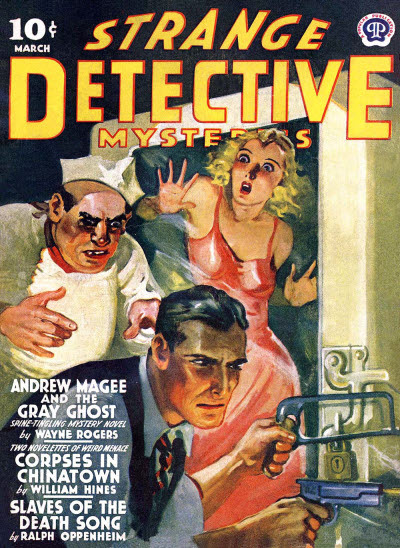 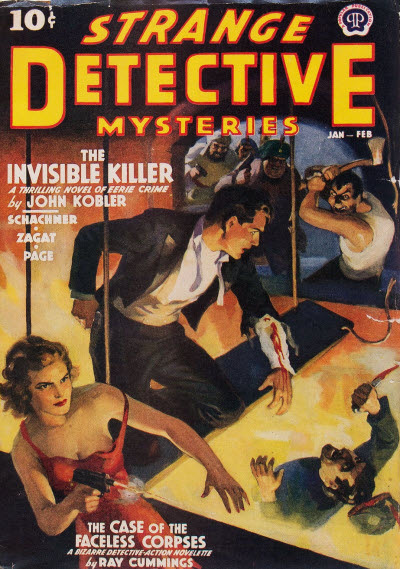 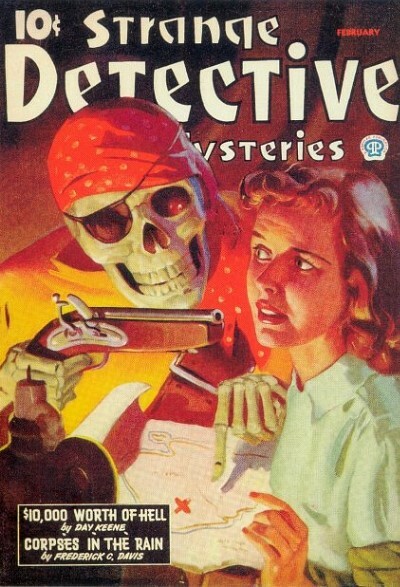 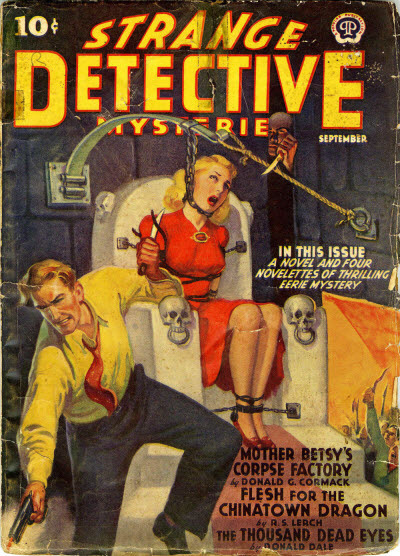 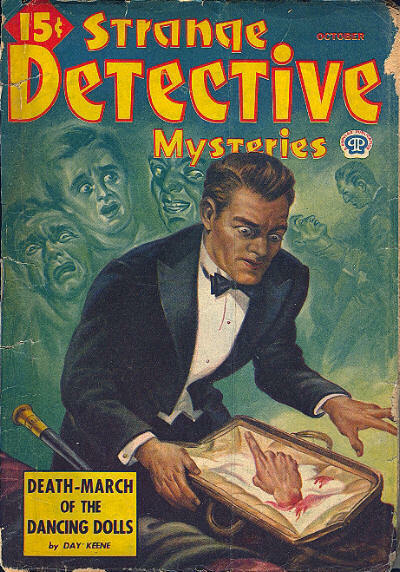 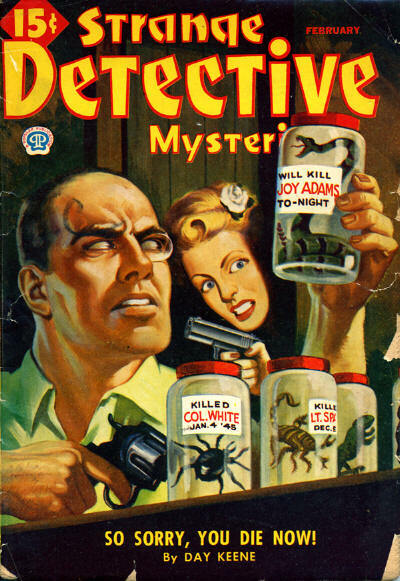 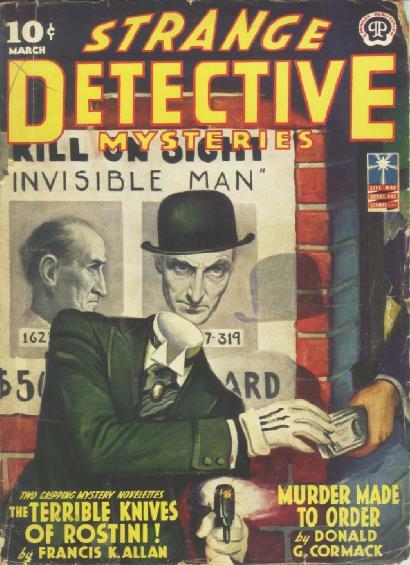 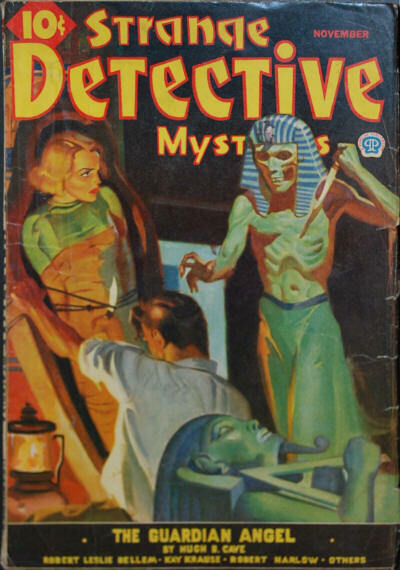 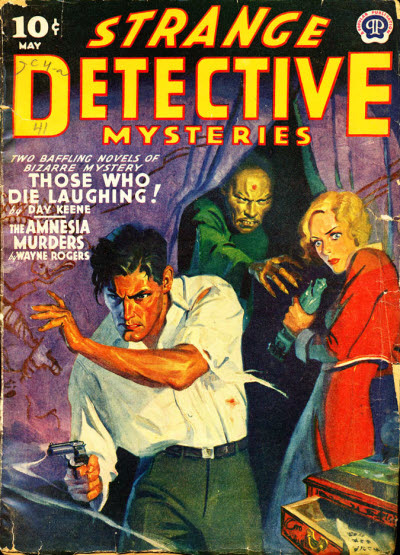 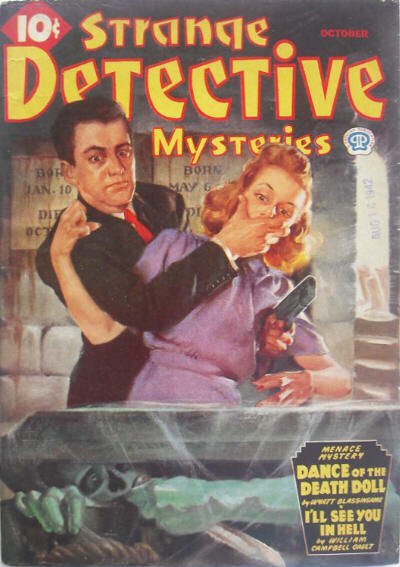 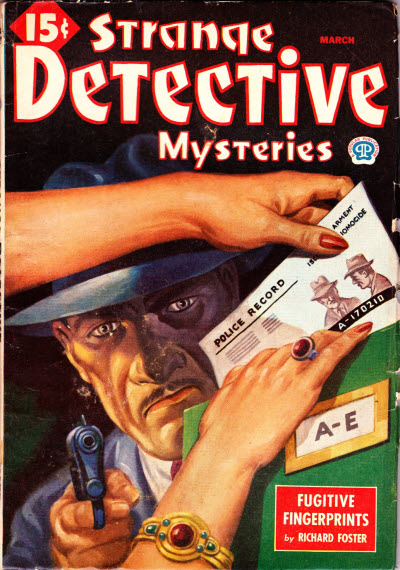 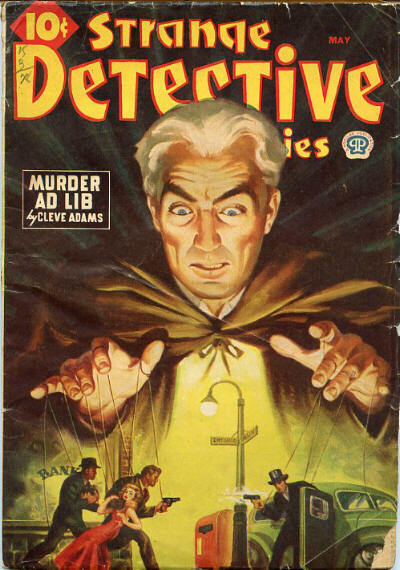 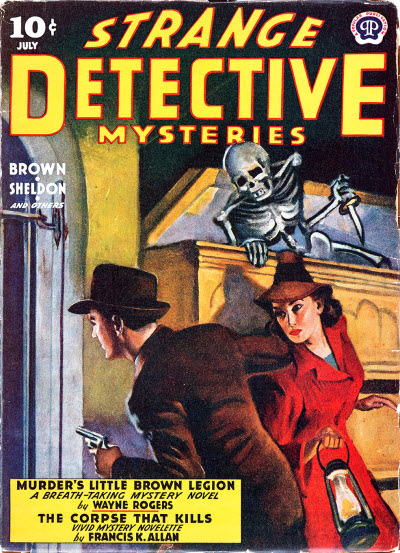 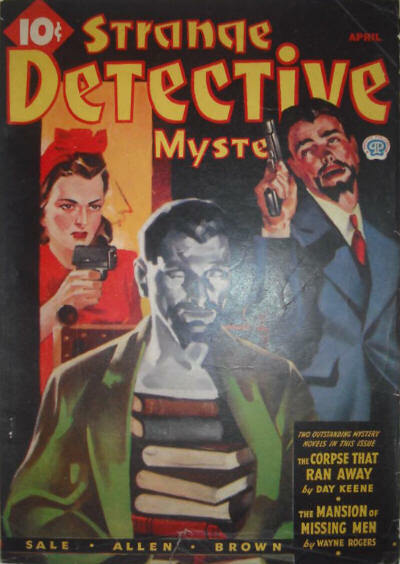 After the US edition of Strange Detective Mysteries folded, issues of Dime Mystery Magazine were reprinted, abridged, in alternating issues of Strange Detective Mysteries, with the intervening issues filled with random reprints, mostly from Detective Fiction Weekly of the 1930's. 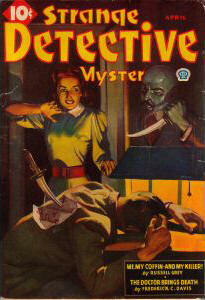 There was also a British reprint edition in the 1940s, but few details are known of it at present. 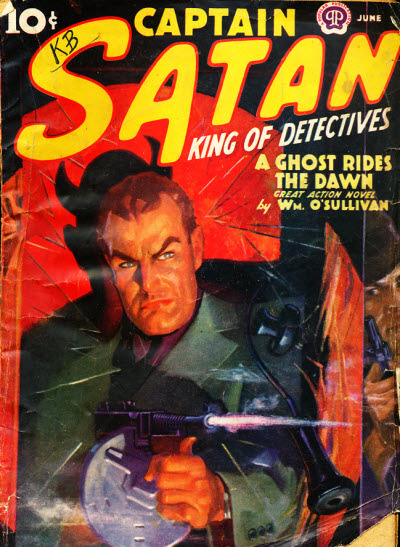 The earliest issue known of this title is v6 #3, August 1941. 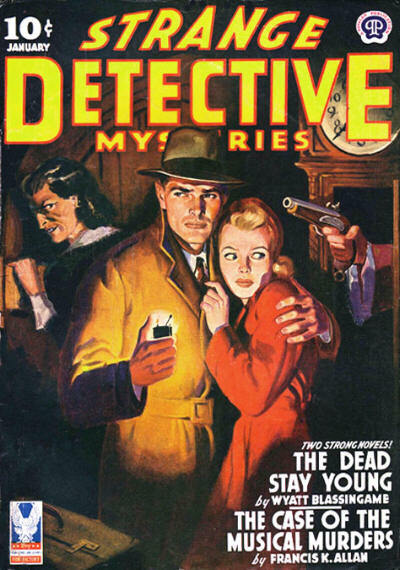 This, and the following issue (v6 #4, November 1941) are the only issues in which the numbering is the same as the US edition from which it reprints, so they are probably among the first issues. 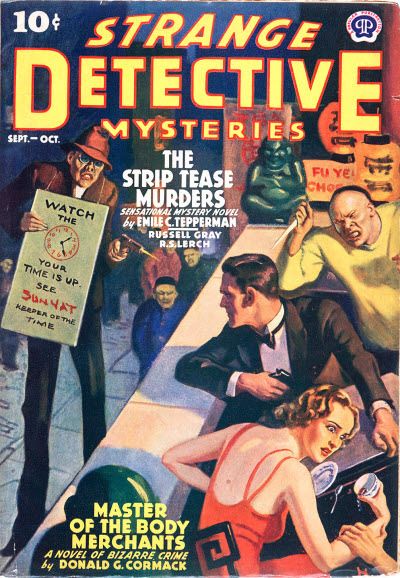 The latest issue seen is v11 #30, November 1945. 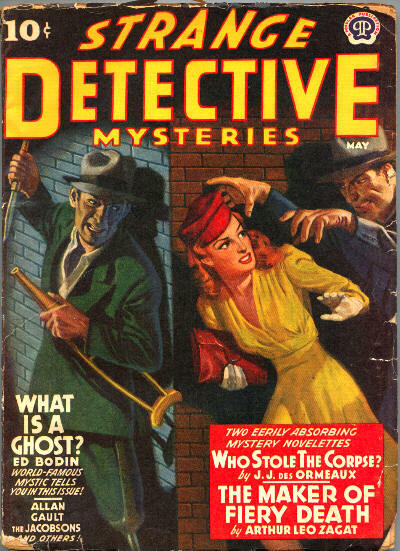 It seems to have been monthly for the entire period, which would have produced at least 48 issues.